The crew of Cornwall Air Ambulance was called into action 17 times last week to medical emergencies including an injured surfer and a woman who had fallen from a cliff. Between Monday 26 June and Sunday 2 July, the crew flew 15 missions on the air ambulance helicopter and responded twice in the critical care cars to emergencies including cardiac arrests, falls from height and burns. One such incident saw the crew treating a woman who had fallen from a cliff into a cave at Trevaunance Point near St Agnes on Saturday 1 July. The critical care paramedics worked alongside the RNLI and St Agnes Coastguard Search and Rescue Team to aid in her rescue. Cornwall Air Ambulance, a charity funded by donations, also responded to a 999 call for help following reports of a child who had fallen from height and suffered injuries in the Lostwithiel area over the weekend. The youngster was treated at the scene before being airlifted to Derriford Hospital in Plymouth. And the air ambulance was scrambled to a surfer who had suffered injuries at Polzeath. The surfer received treatment at the beach before being flown to Royal Cornwall Hospital Treliske for further care. Across Cornwall, the crew of the air ambulance responded to reports of eight medical emergencies and seven trauma incidents, including four cardiac related emergencies, three injuries from falls, two burns and one sporting injury. 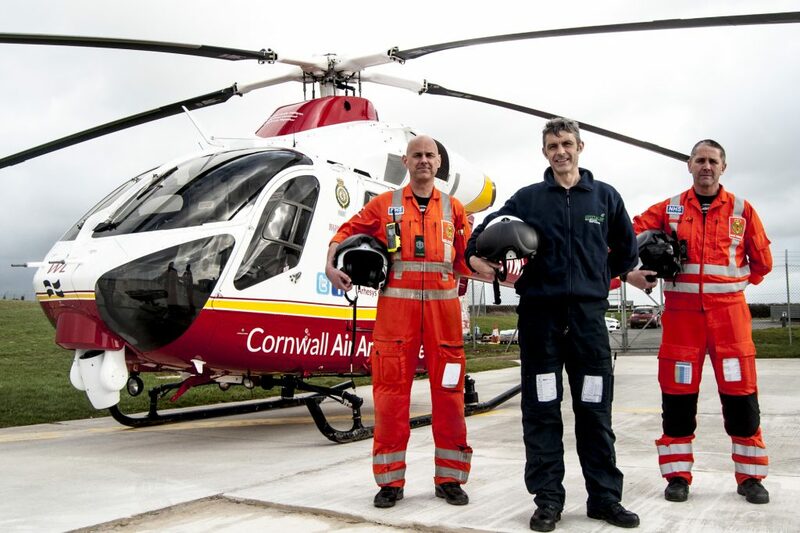 Each year Cornwall Air Ambulance carries out more than 700 missions to people in urgent need of medical help. As a charity, it relies on donations to carry out this lifesaving work. You can find out more about how to support the charity at cornwallairambulancetrust.org.